Kasi or Varanasi is one of the most ancient, famous and holiest of the holy Hindu pilgrim centers. It is situated between two small streams that flow into the river Ganges, Varana on its northern border and Asi (or Assi) on its southern border, from whom it derives its name Varanasi. The name Kasi is derived from either its original founder or a dynasty that ruled it or the kingdom with which it was associated. According to another theory the place might have got its name from a grass named Kusa that grew wildly in the region where the city was built. Varanasi has been a sacred place since ancient times.  It is mentioned in the Vedas, Puranas, the epics Ramayana and Mahabharata and also many Jain and Buddhist texts. It also goes by its more popular name Kasi and the lesser known bur spiritually more significant name Avimukta. During the British rule, like many place names in India, it was anglicized into Benares, the holy city of "Hindoos". During the course of its 3000 or more years of history, the city of Varanasi witnessed many important events and movements of Hindu religion and Indian civilization. The city passed through several tumultuous phases starting from the ascendance of the vedic culture around 1000 BC. It bore witness to the transformation and integration of the Vedic tradition in the Gangetic valley, the teachings of the Buddha on the banks of the Ganges to the new converts, the wanderings of the much revered Jinas and Ajivakas begging for alms, the construction, expansion and consecration of its many temples by generous patrons, the religious animosity that led to the desecration and destruction of its gods and temples from time to time, and its reemergence in modern times into a famous Hindu pilgrimage center. The ancient city of Varanasi was located on the northern side of present day Varanasi, in the area known as Rajghat, where remnants of city wall, pottery and artifacts dating back to 800 BC were unearthed, suggesting to the evidence of ancient settlements in the area. Kasi is referenced in the ancient Indian literature as the capital of the kingdom of Kasi, which had rivalry with the neighboring kingdom of Kosala. Later king of Kosala annexed Kasi and made Varanasi the capital of the combined kingdom. Subsequently both Kosala and Kasi were occupied by the Magadhan rulers and remained part of the Magadhan empire for a very long time. In ancient India, Kasi was a great center of education not only for the Hindus but for other religions such as Buddhism and Jainism. Students were taught the Vedas, the Upanishads and other schools of philosophy and religious thought in the ashrams or study centers that existed in the nearby forests. The Buddha was well aware of its religious significance and visited it frequently. Geographically it was close to Saranath, where he delivered his first sermon immediately after his enlightenment; and religiously significant as it was inhabited by people belonging to different religious schools. According to tradition on several occasions he stationed himself in Varanasi during rainy season, when heavy rains and floods prevented him from going to other places. The Jain tradition also recognizes the sanctity of the place because two of its Thirthankaras were born and raised in Varanasi. Apart from the Buddha and the Thirthankaras, the city of Varanasi is also associated with famous religious personalities such as Panini, the author of Ashtadhyayi, Sankaracharya the religious reformer of Hindu school of monism (Advaita Vedanta), Ramanujacharya the great teacher of Vaishnavism, Madhavacharya the famous Vaishnava teacher who propagated Dvaita (dualism), Basavanna the social and religious reformer from Karnataka who founded Vira Saivism and the legendary Gorakshnatha of the Adinatha tradition of Saivism. According to Buddhist legends Isa or Jesus visited Varanasi during his wanderings and lived there for sometime before he became unpopular with the local priests and escaped to Tibet. Traditionally Kasi has been a center of Saivism and it must have been so even before the advent of the Vedic religion in the Gangetic valley. Saivism was practiced in ancient India by the Ajivikas, the Pasupathas and many other ancient sects of Dravidian origin. From the Himalayas down to the plains of the Gangetic valley and beyond the Narmada, all along the banks of the river Ganges, Narmada and Mahanadi, Siva was worshipped in many forms and with many names. So deep was the connection of Siva with the mountains and the river Ganges that he became associated with such descriptions as the dweller of the mountains and the consort of Ganga (gangapathi or gangadhari). No wonder during the Gupta period, Kasi became the holiest of the holy places for the followers of Saivism and with its gradual integration into Vedism, the holiest of the holy places for all the Hindus. However, despite the predominance of Saivism and Siva temples, other religions and religious sects continued to flourish in Varanasi. Hiuen Tsang, the Chinese traveler who visited India in the seventh century, saw a huge congregation of the Buddhist monks in Varanasi of the Hinayana sect. He also saw hundreds of Hindu temples, thousands of priests and ascetics, some with their hair in knots and some with their hair cut off, with ashes smeared over their bodies, practicing austerities and penances to escape from the cycle of births and deaths. Among other things, Hiuen Tsang also described a statue of Siva that was 30 meters high. Benares became the capital of the kingdom of Gahadavalas in 1094 AD. The city prospered under their rule. King Govindachandra of this dynasty made generous donations to the Hindu temples in the city and encouraged vedic learning. One of his ministers, Lakshmidhara, composed Krtya-kalpa-taru, an encyclopedic work on medieval Hinduism in 14 volumes besides, preserving information about 150 temples of the city for the posterity. The fortunes of Varanasi suffered a reversal during the Muslim invasion. Starting from the 12th century, for the next 500 years the fortunes of Varanasi ebbed and flowed depending upon the mood and generosity of the Muslim rulers who ruled either from Delhi or Agra. Being a religious city of great antiquity, where idol worship was the regular tradition and where Buddhism and Jainism also thrived alongside Hinduism, the city represented every thing that the Muslim rules wanted to destroy as the torch bearers of Islam. The troubles of Varanasi began in 1194 with the sacking and looting of the city by Kutubuddin Aibak, the first ruler of the Slave Dynasty and the founder of the Delhi Sultanate. He destroyed nearly a thousand temples and erected several mosques on top of them. He plundered the temples and carried away about 1400 camel loads of gold, silver and precious stones. The sacking broke the economic status of the city and ruined its temple traditions, but did not dampen its religious spirit. Many temples were rebuilt and the city got back to its routine. In 1351 Firuz Shah, about whom Indian historians are unanimous in their admiration, ascended the throne of Delhi sultanate. A notorious religious bigot, who styled himself as a deputy to the Khalifa of Egypt and kept 20000 slaves under him, Firuz Shah proved his commitment to Islam by persecuting Hindus and destroying many Hindu temples. In 1376, he ordered the destruction of Hindu temples in Varanasi and building of mosques over them. Sikander Lodi was another ruler of Delhi Sultanate who set his eyes upon Varanasi. In 1496 he ordered his generals to destroy all the temples in Varanasi and build mosques over them. His orders were promptly carried out and the city was renamed as Mohammadabad. The early Mughal rulers indulged in religious persecution and destruction of Hindu temples. Akbar set a new example by initiating a policy of religious tolerance. He allowed Hindus to practice their religion and build temples without fear of punishment. During his reign, Varanasi witnessed the construction of the Visvesvara temple and Bindu Madhava temple. Auranazeb reversed the earlier policy of Akbar with an aim to establish Islam in the subcontinent. The empire was thrown into political and religious turmoil because of his extreme measures. In 1659, under his direct orders, the Krittivasevara temple was destroyed and in its place a large mosque was erected. He also undid the goodwill earned during the reign of Akbar by giving orders to destroy the Visvesvar and Bindu Madhava temples and build mosques in their place. The Muslim rulers did manage to destroy several Hindu temples in Varanasi, but they could not destroy the spirit and the religious fervor of the city. Varanasi continued to thrive as a city of Hindu learning and center of Hindu pilgrimage even during the testing times. In the midst of all the turmoil, Tulasidas, a great devotee of Lord Rama and a resident of Varanasi, composed Ramacharitamanas, a monumental rendering of the epic Ramayana into Hindi. It has since became a household name throughout India. Narayan Bhatt who migrated from Maharashtra to Varanasi organized the reconstruction of Kasi Visveswara temple. He also composed a work on the importance of Kasi, Prayag and Gaya entitled Tristhali (the three places). After Aurangazeb, Varanasi came under the rule of Maharaja Balwant Singh. As the Mughal power waned, there was a resurgence of Hindu rulers in various parts of the country. Varanasi witnessed a revival of religious activity, supported by the Rajput and Maratha nobles. Many new temples were built in the place of the old and Hinduism received a new impetus from the followers of Saivism, Vaishanavism and Shaktism. The British who occupied large parts of India by the end of 18th century wished to see India becoming a Christian nation, but maintained a secular outlook outwardly. They encouraged the missionary activity in the pockets of Hindu influence, but did not associate themselves openly with the missionaries. Their primary interest was promoting their business interests in India and keep the local rulers under control. They used religion to the extent it served their interests but did not go beyond. The lessons learned during the 1857 mutiny prevented them from dabbling in the religious lives of native Indians. In the early 19th century, Christian missionaries did good work in and around Varanasi, building Churches, schools and hospitals, with a hope to gain new converts to Christianity. There was lot of hope and expectation in the British circles that they would eventually succeed in converting the people of Varanasi to Christian faith. Despite such efforts, Varanasi remained a strong center of Hinduism and Hindu learning. The name of Varanasi was anglicized into Benares, but for all religious purposes Benares remained Varanasi throughout the British rule and was eventually renamed as Varanasi in 1947. The Benares Sanskrit college, which was founded in 1791, helped in the revival of Sanskrit education in the country and later led to the formation of Benares Hindu University in 1906. "There is hardly any city in the world, that can claim greater antiquity, greater continuity and greater popular veneration than Banaras. Banaras has been a holy city for at least thirty centuries. No city in India arouses the religious emotions of Hindus as much as Kasi does." The words of Kane are very apt, brief and direct. The history of no other city, except perhaps Mathura, is more fascinating than the 4000 year history of Varanasi, which is but the history of Hinduism and its inherent resilience in adopting itself to an ever changing urban environment, independent of other religions and the whims and fancies of whoever ruled the country.